It's snowing in Saint Petersburg, the days are getting colder. 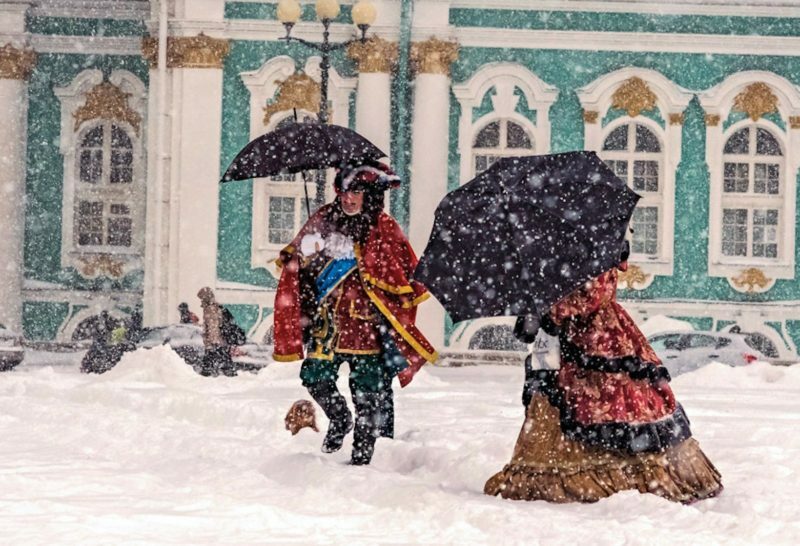 In Peter's life time the beginning of winter cold was met by a procession of citizens walking along the ice of the Neva river with the drum music conducted by a jester. Peter the Great himself provided navigation skills lessons.